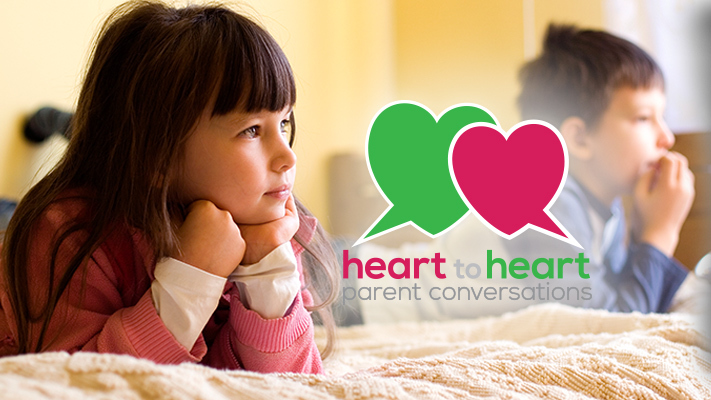 Heart to heart: Parent conversations: How can we set the stage for a successful school year? How can we set the stage for a successful school year? Routine. My family abandons it for the summer, but I think there’s a part of all of us that welcomes its return during the school year. It’s hard just to throw ourselves back into our school routine, though, after weeks of freedom. And each new school year brings new routines for each kid. New expectations. New responsibilities. Adjusting can be a lot for all of us. That’s why I welcomed the advice from this month’s authors. Any tips that can help the transition into the new school year are much appreciated in my house. Let us know if you try any or if you have any of your own to share. God’s blessings on the coming year! Are you ready for school to start? Some parents love the freedom and fun of the summer schedule. Some are like my husband and have a countdown on the calendar with a smiley face on the first day of school. No matter how you feel about it, the school year is beginning. Here are some ideas to help the transition go more smoothly. Set clear goals right from the start regarding home and school responsibilities. What does the morning routine look like? What gets done the night before to prepare for the next day? (Hint: as much as possible!) What chores does your child have and when do they need to be done? At our house, chores like unloading the dishwasher are done in the morning. Responsibilities like practicing piano can be done after school. Establish with your children when they are going to do homework and where. Having a specific time and a comfortable place set aside prioritizes homework and provides a structure for study. If homework has been a struggle in the past, consider hiring an after-school helper to provide a different perspective and take the tension out of the parent/child relationship. Along with setting clearly defined routines, it’s important to practice them. Use the week before school starts to begin getting up at the right time, going through the morning routine, and sitting down to read during the scheduled study time. Apparently fifth grade at our school is when every activity possible becomes available for students. Last year, our son decided he wanted to be in cross country, soccer, flag football, band, and chimes—all at the same time. It sounds so well-rounded, doesn’t it? It turned out to be a recipe for anxiety for our son and led to significant physical and emotional issues for the first part of the school year. Kids need down time. (So do adults!) Choose with your child one or two activities to participate in during the school year, and limit everything else. Along with rest from activities, children need physical rest. It is recommended that children ages 6 to 13 get 9 to 11 hours of sleep. Consistent lack of sleep can negatively impact learning, weaken the immune system, and result in behavioral issues. Encourage good sleep by limiting electronics before bed, keeping lighting low and the temperature cool in your child’s bedroom, and having a healthy snack before bedtime. Routines such as a warm bath or cuddling also help. Finally, as the school year approaches, remember this important truth. Our children belong to God, and he has given us the responsibility of teaching them about his love. Maybe you set aside time for family Bible study. Maybe you sing Christian songs on your way to soccer. We have a devotion and share what we’re thankful for before bed. What your children learn about Jesus and what he’s done for them will be the most important lesson they learn all school year. Sarah Reik and her husband have four children ages 6 to 11 heading back to school this fall. The school year is upon us. This brings newness to the air. New teachers, new schedules, new goals, and new expectations. So how do we, as parents, help set the stage for a successful school year? Prayer—We intentionally invite the Father, Son, and Holy Spirit to be present and active in our summit. Groundrules—We explain that this is a time to share and listen. When you aren’t sharing, you are listening without judgment and without interrupting. Definingsuccess—Give time for each child to think about and write down what a successful school year means to him or her. Sharetime—Share with the family. It’s amazing how different this can look for each child. Selfexpectations—Give time for each child to think about and write down his expectations for himself. Sharetime—Share with the family. It works so much better when the expectations are theirs and not just yours. Familyexpectations—Give time for each child to think about her expectations for your family. In our home our children didn’t always realize the kinds of expectations they have for each other. Sharetime—Again, share with the family. This is also a time to talk about what are realistic expectations of themselves and of each other. Mom and Dadtime—Tad and I share our ideas of success and our expectations. These include their answers. Blessing—Close with a blessing on our school year. So often as parents we assume that our children’s ideas are the same as our own. Doing these summits has been eye opening for us. God is uniquely equipping our children to do the work he is putting in front of them. We want to cultivate a discernment that helps them see what that work is. I am humbled when their ideas come out because oftentimes they see it more clearly than I do. Having these conversations has been invaluable in our home. It gives us insight into their hearts. It gives us direction when we are called upon to encourage and discipline our children. It keeps our desires for our children in check and helps us keep looking to our heavenly Father for guidance as we guide our children. May God bless you and your families this year and always. Jenni Schubring and her husband, Tad, have five children ranging in age from 8 to 16. They are also licensed foster parents. I personally believe setting the stage for a successful school year starts in summer. My wife and I try to get our children on a typical, healthy routine a few weeks prior to the school year. That includes trying to get them to settle in to sleep at a reasonable time and helping them adapt to any other changes in routine (including less screen time) so they have a chance to have healthy habits entering the school year and so we do not have the added stress of those changes when school begins. Of course, we do not always accomplish this goal due to the busyness of life and the need for flexibility. I also believe it is important to speak positively about school and encourage your children to see school as a healthy and important venture and to model that positivity to them about responsibilities in your life. Telling them that your work is important, that God gave us talents and abilities to apply in this life, and that we aim to approach work and school with a thankful attitude can go a long way. One part I have struggled with is watching my children go through the transition to school with fear and worry. I find myself saying, “How will they do with their friends?” “Will they like their teacher?” “What about their academics?” When I catch myself falling into that line of thinking, I remind myself that it is important to trust God (He helped you through it all, didn’t he?) and to trust your children and the people God has placed around them. When school finally begins, my wife and I typically try to keep the above routines on track in addition to establishing routines for homework and study time. I also think it is important to try to keep things simple for a few weeks. Managing the back-to-school transition is an exciting time with all kinds of adjustments. It can also be a time when soccer, cross-country, and other commitments come together, and all of that can be overwhelming depending on how your child manages stress. In our house, we try our best to keep things simple in the fall so we are not overcommitted (notice the word “try”) and to allow the children adequate time in the evening and weekends to do things that help them relax, to connect with each other and us, to get homework done, to eat, and to play. Finally, we pray for patience and trust that over time, the routines will settle in, the children will adjust, and we will be thinking about our plans for the following summer. Moreover, we remember that this time is temporary and we may as well enjoy this time of grace. Casey Holtz and his wife, Amanda, have three young children ages 2 to 8.
https://wels.net/wp-content/uploads/2015/02/711x400-Together-HeartToHeart.jpg 400 711 Sarah Proeber https://wels.net/wp-content/uploads/2013/04/WELS-logo3.png Sarah Proeber2018-09-01 01:00:532018-08-14 10:52:29Heart to heart: Parent conversations: How can we set the stage for a successful school year?